This is a DIY project from our friend Irving. I remember when I was in secondary school, my best friend Oliver who is another DIY genius, gave me one of those air-craft model that came in many plastic pieces. I totally make a mess of it. My best result is an airplane similar to the one from LOST, if you know what I mean. 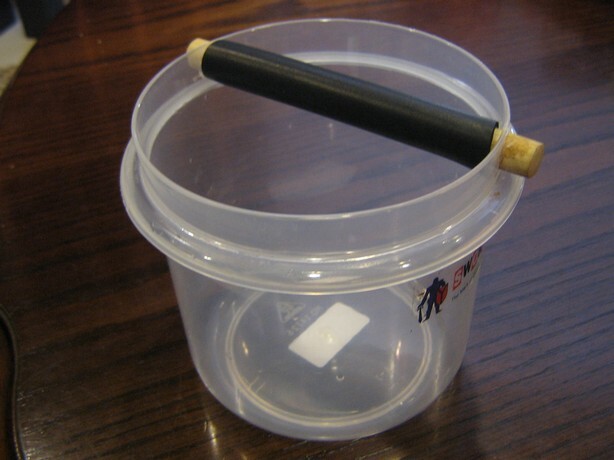 Ok, here’s the step to a functional and cheap knockbox. 2) Handle of a cheap pine-wood spatula (Spatula costs about RM3 from pasar malam). Hey Irving, make me one lah… pleaseeeee… I compensate with a pack of 250g Supremo blend ok ar? This entry was posted in Coffee, Coffee Beans, DIY, Kuala Lumpur, Malaysia and tagged Knockbox on March 31, 2009 by KF Chan. Good Espresso and cappuccino is so hard to find in Malaysia (Kuala Lumpur and PJ included) that whenever someone recommend a cafe of good coffee, it’s hard not to check it out. It is quite easy to find, it is the same block facing Cold Storage. Went there on Saturday with Wee Chuan. One of the reason why we wanted to give this place a try was because we were told that providore served some decently fresh coffee from Australia, the Genovese Super Brazil. 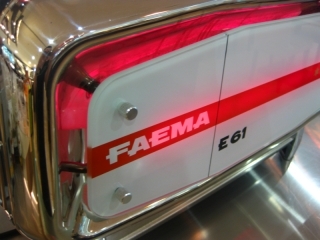 This entry was posted in Barista, Cafe, Cappuccino, Coffee, Coffee Beans, espresso, Kuala Lumpur, Malaysia, Solaris on March 30, 2009 by KF Chan. Le Passion Coffee Bar was started a year ago by an Englishman, David and an American, Rick…. 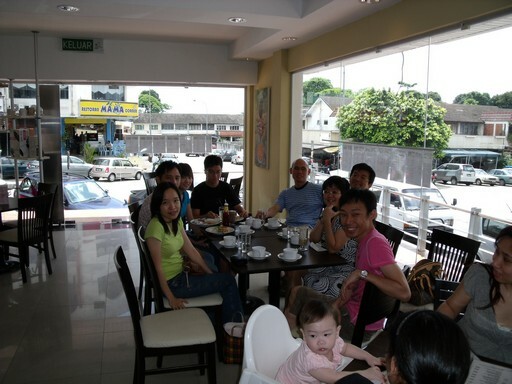 This entry was posted in Cafe, Cappuccino, Coffee, Coffee Beans, espresso, Kuala Lumpur, Malaysia on March 25, 2009 by KF Chan. On March 8, we had our third Coffee Lovers Gathering at Coffee Ritual. This time though, it was a bit different. Instead of espresso and cappuccino, we had Syphon’s brewed coffee instead. Thanks to Chin for inviting us to his place for a FREE sampling of Syphon coffee. It was a first experience for a few guys here. The Crowd… including the cute lil baby girl that brightens our day. Coffee ready to brew. This is a single origin from Columbia. As the water begins to boil, the top part which holds the coffee will be properly attached to the lower parts that holds the water. The moment the top part is attached, hot air inside the water compartment will have no place to go. Due to pressure differences, most of the hot water will be pushed up to the compartment containing the coffee. As the water wet the coffee, it is stirred to ensure all the coffee are properly saturated with the water. It is then allowed to steep for about 50 seconds. 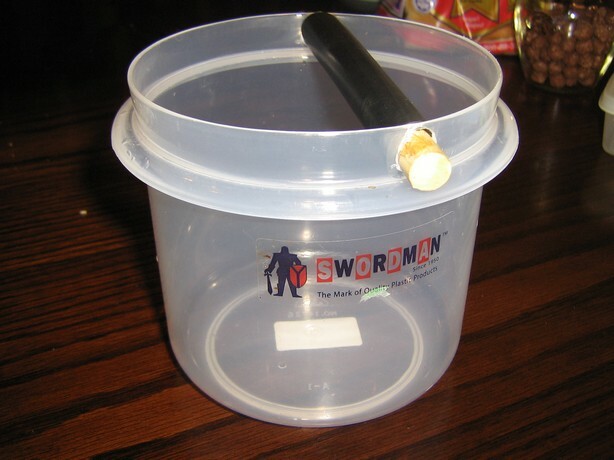 Once the fire or heat source is removed, in a few seconds, the air inside the earlier water compartment cooled down. The coffee will gushed back down to the lower compartment. We actually tried 3 types of single origin beans from Columbia, Brazil and one that I forgot (getting old, if anyone remember, do let me know). Ok, how does it taste? I have to say the Syphon brewed coffee is quite nice. It is clean (as clean as the Aeropress), able to bring out the delicate flavour of the beans (if you have good beans and freshly roasted of course). 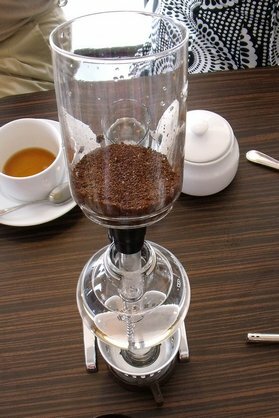 It is very comparable to the Aeropress (base on memory, not that I have a chance to really compare side by side). Both can brewed very tasty, delicate coffee. Aeropress is the most convenient. 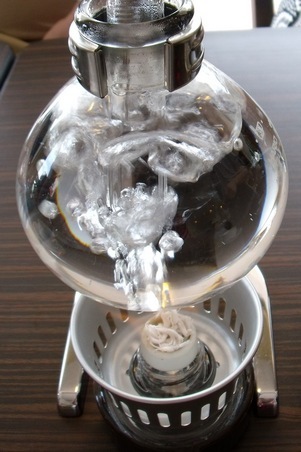 The Syphon is way more romantic and appeal to more than the taste sensation. 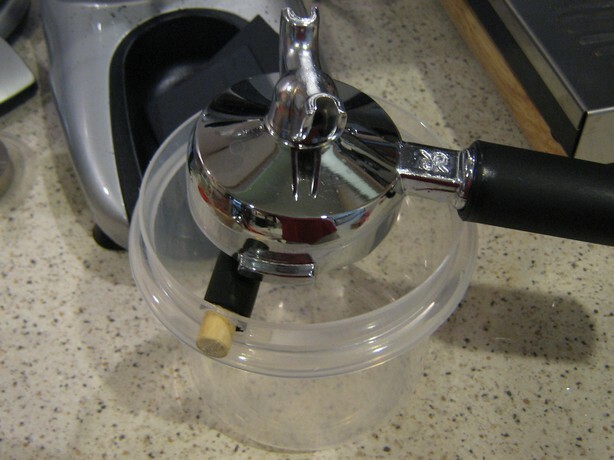 But, you can drop the aeropress and no sweat but if you drop the syphon there goes your money… hahaha. In fact someone told me he is reluctant to get a syphon because there are many clumsy people in the house. Do give them a try and check out the location here. Certainly the Best Coffee Place in Petaling Jaya. 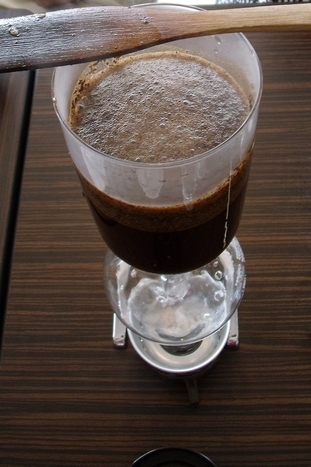 This entry was posted in Aeropress, Cafe, Coffee, Coffee Beans, Coffee Lover, Friends, Malaysia, Syphon on March 22, 2009 by KF Chan. This is truly a very late notice but our friend in Coffee Ritual made us an excellent offer. 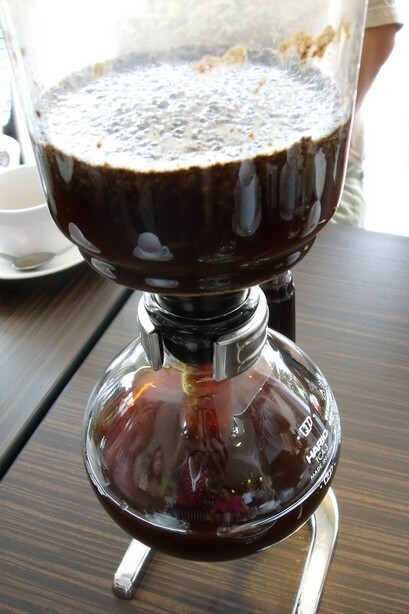 Many of you never tried a Syphon brewed coffee before. Now’s the perfect opportunity. After that, you can order your favourite coffee….espresso, cappuccino or latte. Since I’m meeting Wee Chuan for coffee and chit-chat, you are all welcome to join in. I’ll only be there from 2pm to 4pm Sunday. Please drop your name or nickname in the comments. This entry was posted in Cafe, Cappuccino, Coffee, Coffee Beans, Coffee Lover, espresso, KL, Kuala Lumpur, latte, Malaysia, PJ, Syphon on March 6, 2009 by KF Chan.